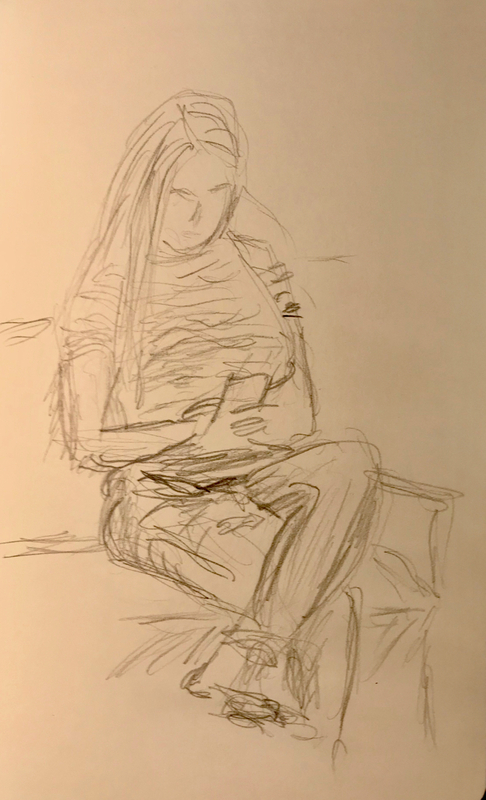 Yesterday, I posted a series of small, quick studies of a young lady reading her cell phone in a waiting room. Below is a more careful sketch of the same person. This entry was posted in Personal Stories and tagged art, artistic process, creative process, creativity, drawing, pencil sketch, portrait, portraiture, sketch, Waiting Room. Bookmark the permalink. This is wonderful. I can feel her concentration.